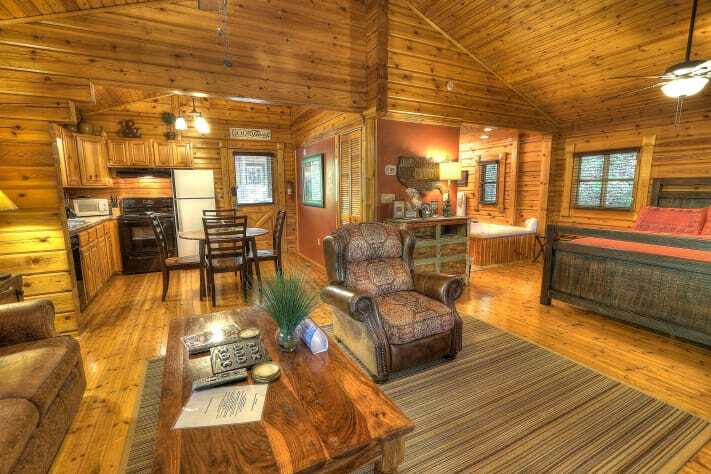 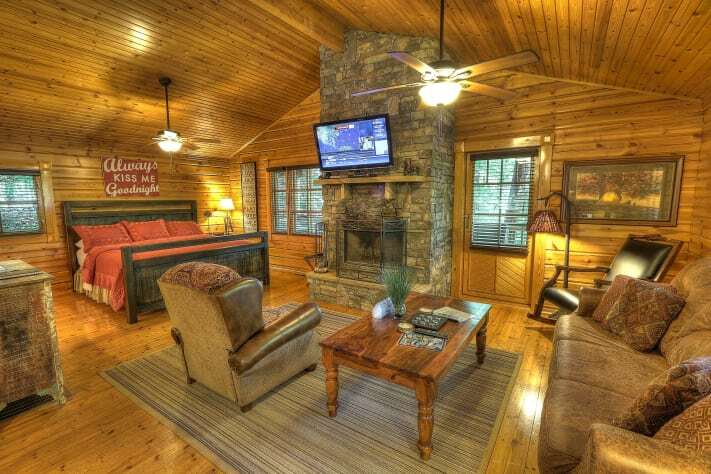 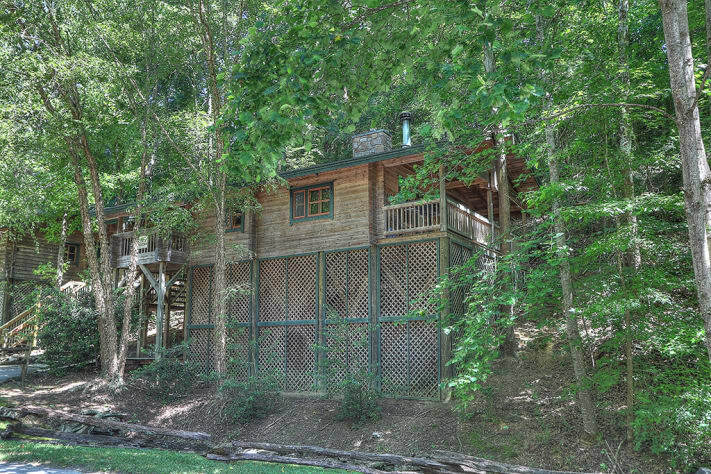 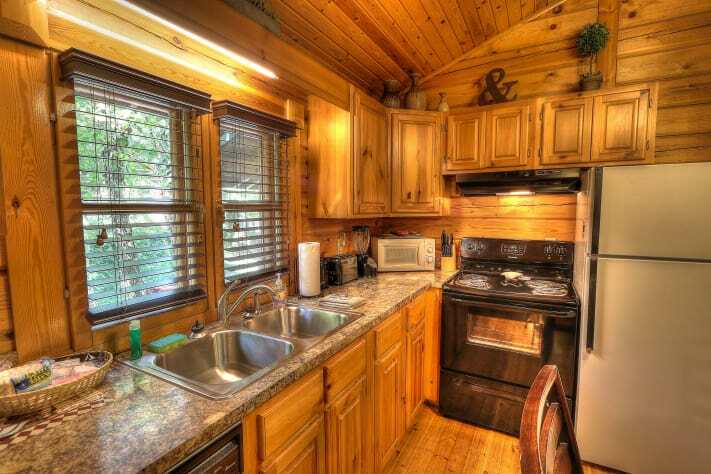 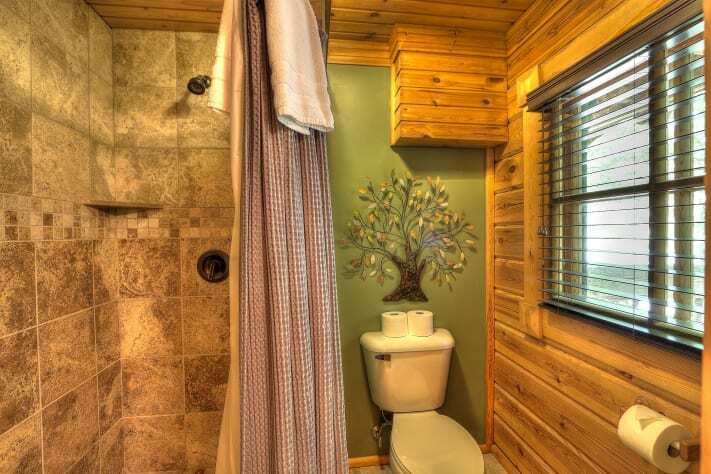 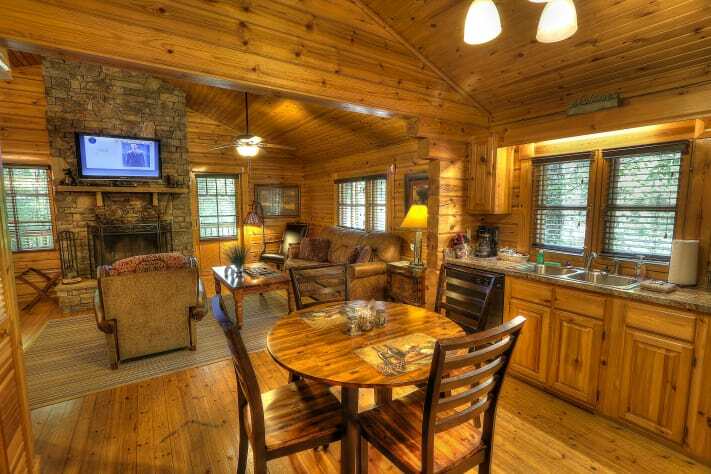 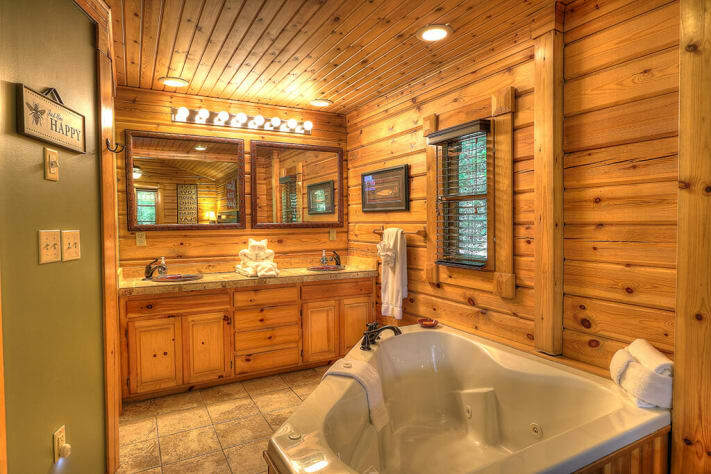 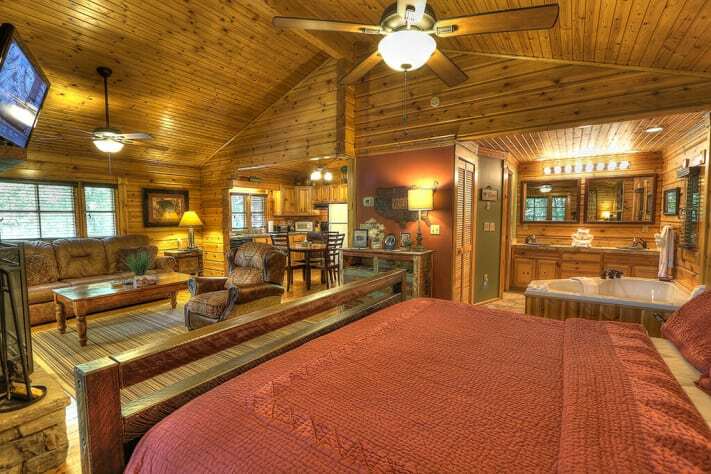 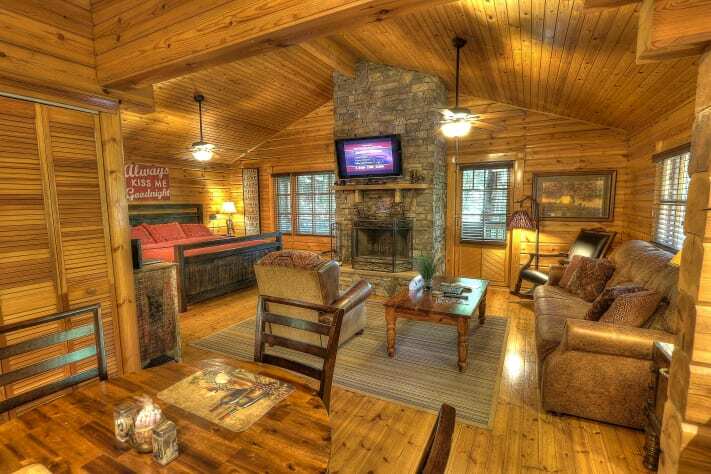 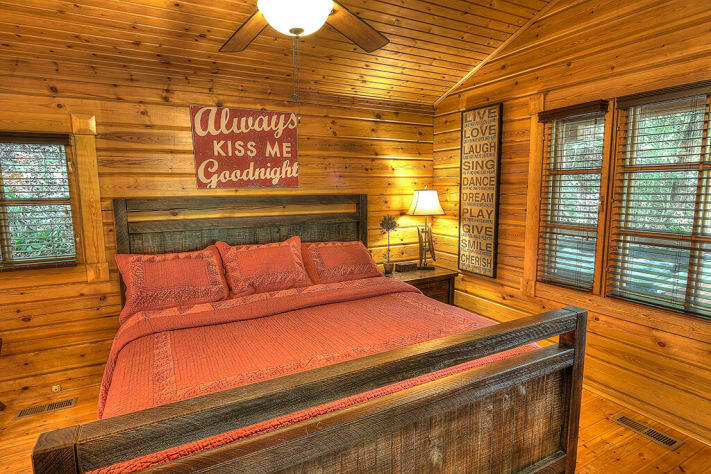 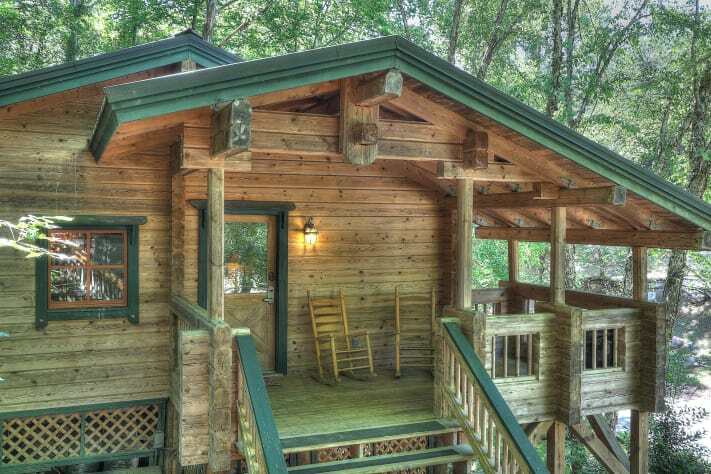 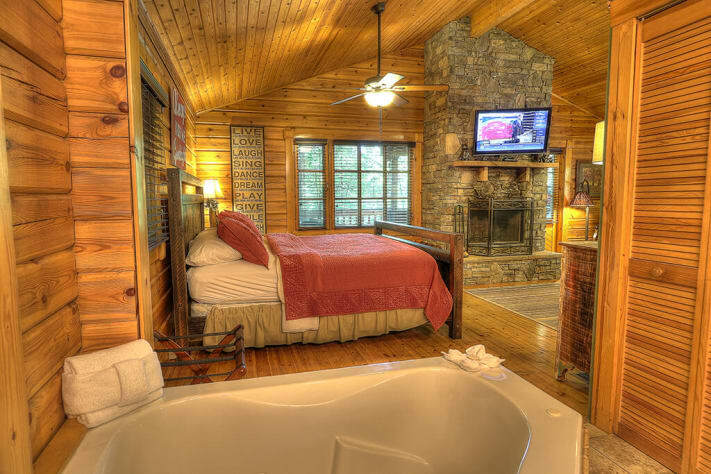 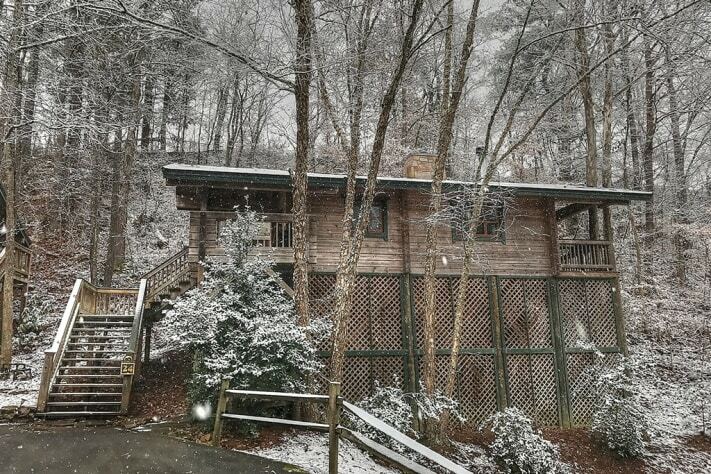 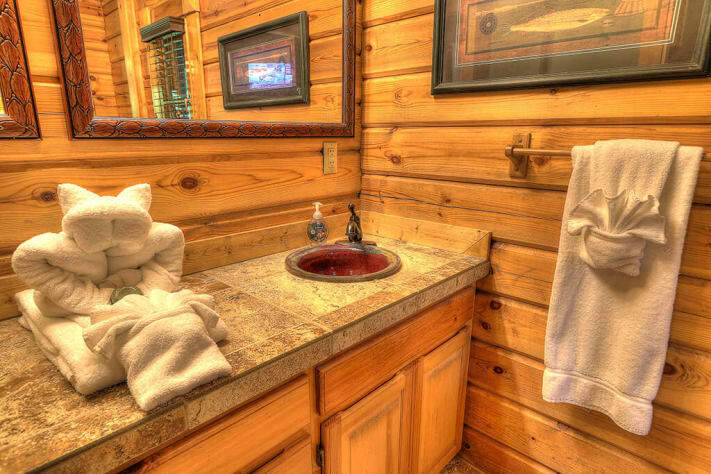 This fantastic log cabin is perfect for a romantic getaway. 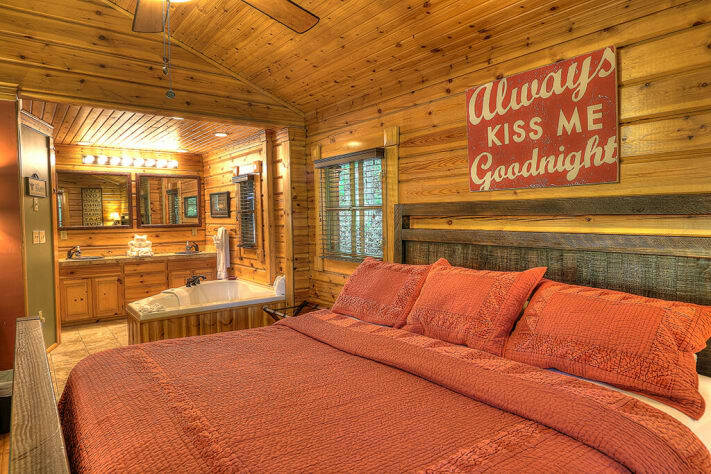 The bedroom has a luxurious king size bed, and an absolutely alluring Jacuzzi for those special evenings indoors. 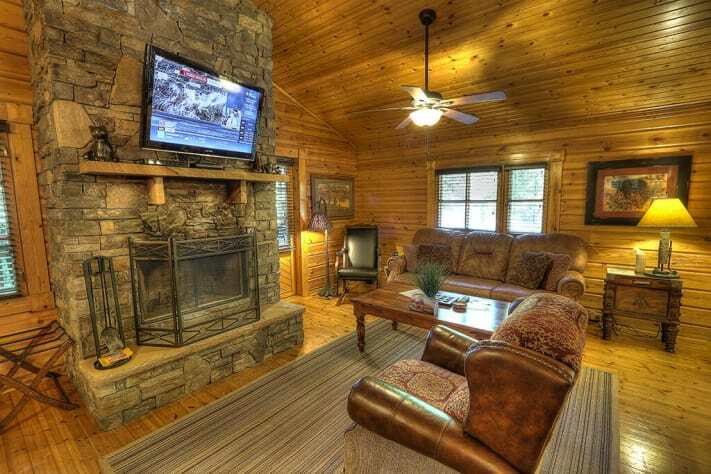 You can enjoy the beautiful stacked stone wood burning fireplace whether you are resting in the bedroom, relaxing in the Jacuzzi, reclining in the living area or dining in the fully equipped kitchen. 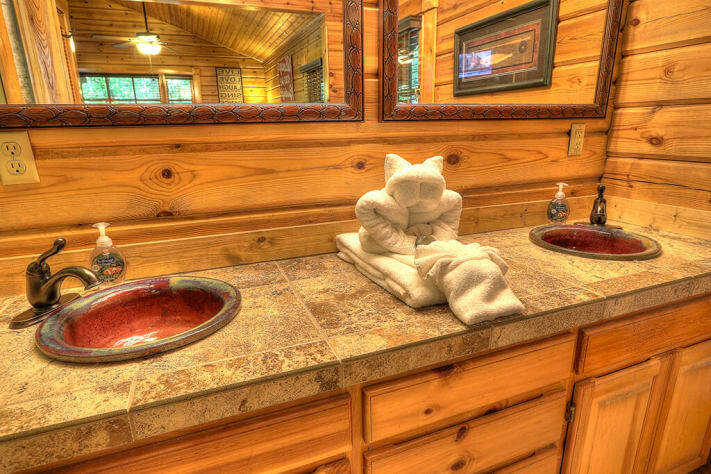 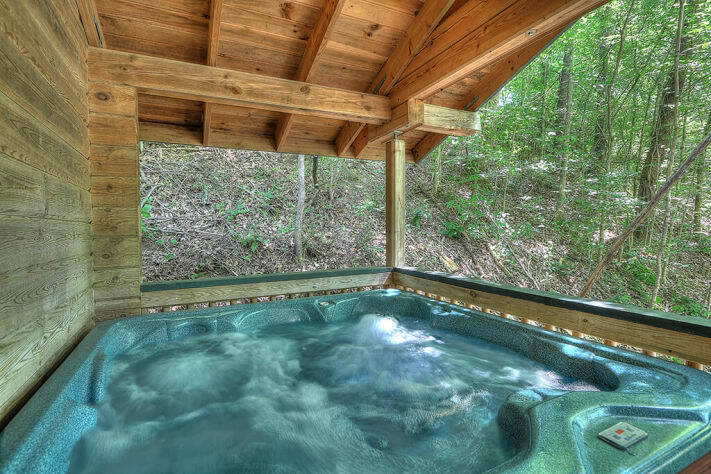 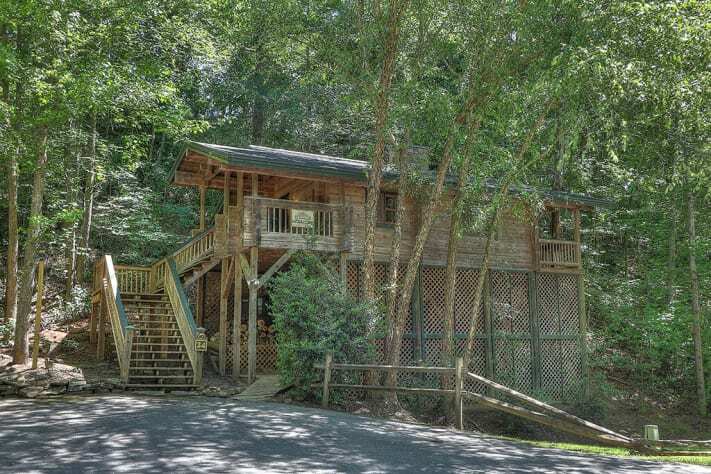 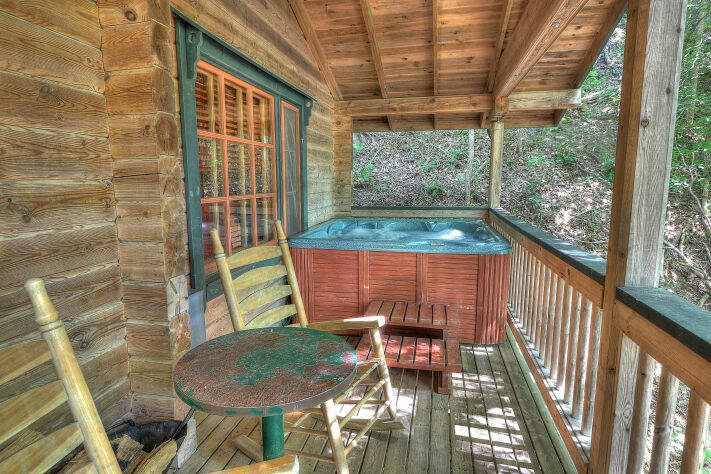 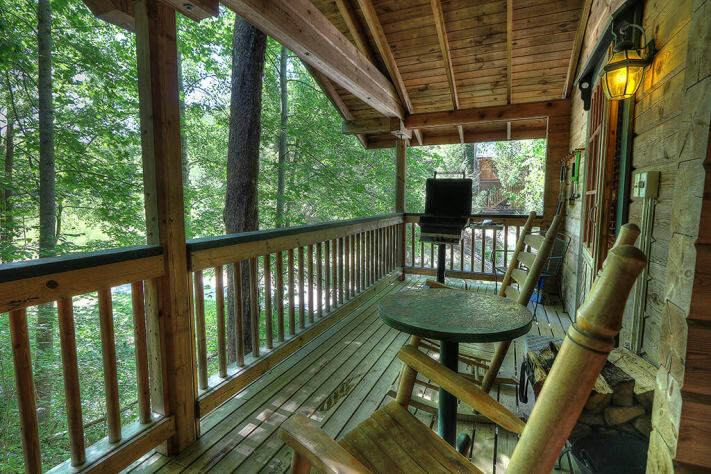 Take advantage of the rockers on the porches for sitting back and breathing in that fresh mountain air or let your worries disappear as you soak in the bubbling outdoor hot tub. Enjoy a leisurely stroll through the beautifully mature wooded resort.